This page provides a summary of recent facts, figures and reports that underpin SOPA's Action Points. Topics include demographics, transport, housing, care and an integrated approach to health and care. Also other reports on Links Page. Population statistics by the National Records of Scotland for mid 2014. Total population over 60 – 1,284,828 - approximately 25% of the population. Transport - The Health and Social Care Alliance produced a briefing in 2013 highlighting that transport, particularly in rural Scotland and in some peripheral city housing estates is inadequate. Also the environment can be a problem - for example, the location of bus stops. The National Concessionary Travel Scheme should be extended to community transport operators. Older people in Scotland are valued as an asset and are supported to enjoy full and positive lives in their own homes or in a homely setting. The policy made a clear commitment to consult older people and the National Strategy Delivery plan made thirty one action points. It can be accessed on the Government website on housing reforms. It is timely to ask what has been the experience in practice and how far has the delivery matched the original aspirations? 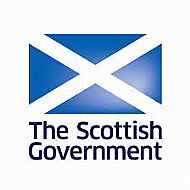 Care - Audit Scotland, in its 2014 report on Reshaping Care for Older People found that reforms needs to accelerate, the emphasis should be on a more integrated policy and that older people are viewed as an asset. 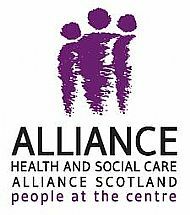 Figures on social care provision were produced by the Health Analytical Services Division for Scotland. Most carers are aged 54 – 64 (about a third women and around one fifth men). After retirement 19% men and 19% women aged between 64 and 75 are carers. After 75, 12% men and 9% women are carers. The 2011 census found that over half of carers aged over 65 provided 35 hours a week or more care. These 2 reports have highlighted issues particularly with regard to the lack of support for unpaid carers including their physical and mental wellbeing, especially those providing 35 hours or more per week. 104,000 people in Scotland are entitled to carers allowance but just over half claim it. Are carers in this later category actually providing a public service? The Care Inspectorate and Health Care Improvement Scotland have produced a joint inspection report (August 2015) on services for older people in Glasgow. Across nine quality indicators four were found to be good and five adequate. Ten recommendations for improvement are highlighted. Read Glasgow’s Elderly Care Challenge May be Echoed Around the Country (Herald, 26 August 2015). Integrated Approach - The World Health Organisation programme on Global Age Friendly Cities adopts an innovative approach to create an environment where people of all ages can participate in community activities. The aim is to ‘provide a vibrant global platform for information exchange, learning and a meeting place for members of WHO Global Network of Age Friendly Cities and Communities’. The website highlights how communities worldwide have fostered an age friendly approach. 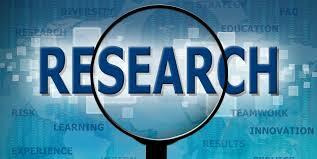 Read also the WHO webpage 'Misconceptions on Ageing and Health'.